Record & log information about the home! Keep track of repairs, costs, & maintenance on any house. Store valuable ID numbers for electronics & other equipment. Area for samples of wallpaper & paint in case they must be replaced! Great item for banks, insurance, mortgage & realty companies. 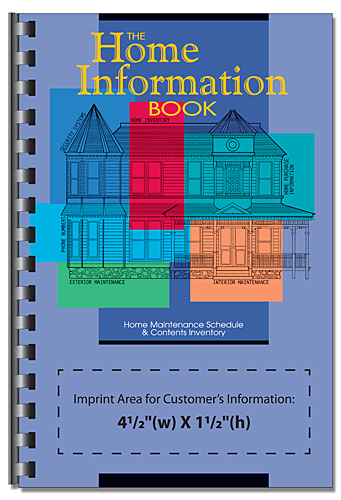 A handy book for keeping track of home maintenance, warranties and serial numbers--the one book every home owner needs.